Are you looking to lose weight healthily and effectively? The Independent Pharmacy provides all the treatments and advice that you could need, at competitive prices. Medication is available following a consultation with our Online Doctor service. We offer discreet UK delivery, straight to your door. Obesity is caused by having excess body weight, usually stored as fat, for your height and is defined as having a BMI over 30. BMI (Body Mass Index) is a ratio your body weight to your height; it is not always perfect but it usually gives a good indication of your weight compared to your ideal weight. You can calculate your own BMI using the NHS Choices BMI calculator. It is widely known that excess weight leads to many long-term health conditions such as type-2 diabetes, heart disease, high blood pressure and joint problems. As well as long term conditions people who suffer with obesity may suffer with fatigue, lethargy and breathlessness, all of which can be helped by weight loss. It is thought that more than a quarter of adults in England are obese (they have a BMI of 30 or over). It is widely recognised amongst healthcare professionals that obesity is an increasing problem that is growing at an astonishing rate. Losing excess weight with diet, exercise and weight loss treatment is important to avoid the many chronic health conditions that result from obesity. Weight Loss Shakes & Supplements: Do They Really Work? How do I start to diet and exercise? A tried-and-true-method, regular cardiovascular exercise (30 minutes, 5 times per week) and a healthy, balanced diet that is high in fibre is vital to any attempt at weight loss and a new healthier you. Any new exercise regime should take into account of your current level of fitness. For those who have a relatively low level of fitness, small steps should be taken to slowly increase fitness to a level where you are able to complete 30 minutes of vigorous physical activity. Brisk walking can be an effective place to start with the aim of increasing the length and/or pace as your fitness level increases. Try using the Couch to 5k plan designed to take you from a complete beginner to running 5k in just 10 weeks. It contains lots of tips and advice on starting exercise through the website, app and podcasts as well as a vibrant community spirt to keep you motivated and share success stories. Before starting a vigorous exercise regimen, you should consult your GP to ensure it will be safe and effective for you to begin, taking into account your current fitness level and state of health. The average calorie intake of an adult male and female should be 2,500 and 2,000 calories respectively. This can be achieved by controlling the size of portions, increasing intake of vegetables and starchy foods and eating more slowly to prevent over-eating. By using the NHS Choices Eatwell Plate you can manage your meals to ensure that you achieve not only a calorie-controlled diet but also a nutritionally balanced intake. Use the Change 4 Life website to help you plan healthy meals, kick bad eating habits and shop smarter when buying food. Being in the know will help you reduce your calorie intake and shed the pounds! Above all, the principle goal of weight loss is to burn more calories than you consume. Whether it be through diet and exercise, or with help from weight loss treatments, being smart about the calories you consume and burning off any extra calories being active is almost guaranteed to be effective in managing your weight. What medicines are available to aid Weight Loss? The only clinically-proven weight loss treatments currently available contain orlistat, a fat-binding drug that helps to stop the absorption of around a third of dietary fat. Xenical, and generic Orlistat, are suitable for those with a high BMI (over 30 or over 27 if there are other risk factors) who cannot lose the required weight with diet and exercise alone. 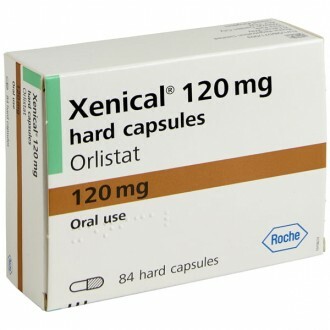 Xenical and generic Orlistat are both prescription strength treatments containing Orlistat 120mg per capsule. 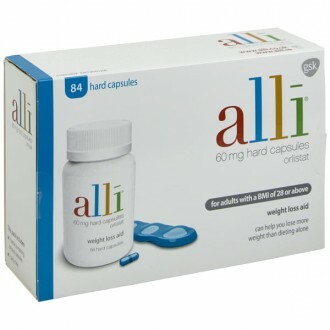 Alli capsules are also available and contain Orlistat 60mg per capsule, half the strength of Xenical and generic Orlistat. Orlistat weight loss treatments help to block one third of the absorption of fats consumed in your diet. As excess fats contribute to weight gain due to their high calorie content, taking prescription weight loss treatments can help you lose an extra 1lb for every 2lbs you lose through diet and exercise - around 50% extra than with just dieting and exercise. Non-prescription weight loss supplements, such as XLS-Medical, are available as alternatives to medicinal treatements. Weight loss supplements such as XLS Medical Carb Blocker and XLS Medical Fat Binder help to bind dietary carbohydrates and fat respectively, preventing them from being absorbed and therefore reducing your calorie intake. Both should be used alongside a calorie-controlled diet and exercise to help you lose more weight than dieting alone. Most doctors agree that healthy diet and regular cardiovascular exercise is the best way to manage weight. But for some, added help might be needed to lose those extra few pounds. Many weight management strategies, with a healthcare professional’s approval, can be employed safely and effectively. It is important to note that any weight loss method should be approached slowly and realistically. You are more likely to achieve significant and permanent weight loss if you plan well, set realistic goals and approach your target slowly. Determination is a must and having friends and family to aid you in your goal will greatly increase your chances of success. 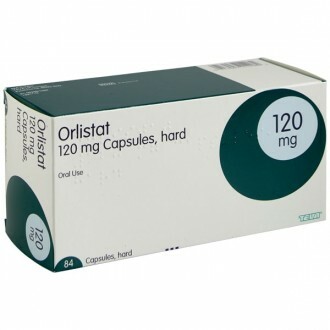 If you are looking to accelerate your weight loss, then you can buy orlistat online from the Independent Pharmacy without the need to see a doctor face to face. How much exercise should I be doing for the best results? Studies show that moderate exercise - such as walking for 30 minutes every day - can result in improvements in overall health. You can add exercise to your activities throughout the day by adding a little extra walking to the things you already do. What's important is including activity regularly in your routine. Start gently and work your way up. That way you are more likely to lose weight slowly and keep it off. Your weight depends on your balance of calories, rather than when you eat. Eating before bed should not affect your weight loss progress, as long as it is a healthy snack. People tend to opt for unhealthy foods as a ‘midnight snack’, which is why there is a perceived link between eating at night and gaining weight. Healthy breakfasts are essential in losing weight. If you have too few calories to start the day, the body will naturally slow down your metabolism, to conserve whatever energy it has left. This will impede your weight loss. Breakfast is also important to prevent you from feeling hungry throughout the day. You are more likely to make unhealthy choices if you are constantly slightly hungry. What happens if I eat too few calories? When caloric intake goes below a certain level, the body will involuntarily slow down your metabolism in order to conserve whatever energy it has left. This ‘starvation mode’ is the body’s way of surviving with very little food. This would be helpful if you were actually starving, but it will prevent you from making further weight loss progress. So, in order to lose weight, you must reduce your caloric intake, but still, eat enough to avoid this ‘starvation mode’. For men, this lower limit is usually around 1,500 calories per day; women should stay above 1,200. If I am trying to lose weight, how many meals should I eat each day? There is no consensus on this. On one hand, eating three main meals each day gives your body more time to burn fat in between meals. On the other, eating five smaller meals each day will keep your metabolism up to speed and will prevent you from getting hungry. Ultimately, it comes down to your habits and lifestyle. If you are too busy to commit to five regular meals, it may be preferable to stick to three larger ones, so long as you do not resort to unhealthy snacks in between meals. If you know that you feel hungry very frequently, five or six small meals might be a better option. As long as you eat the appropriate amount of calories, the frequency of your meals should not make a notable difference. Will skipping meals help me lose weight? Once you have a regular routine, try to avoid skipping meals. You may skip a meal thinking it will help you reduce your intake of calories, but then overcompensate when you get hungry later. It is particularly important to evenly distribute your eating throughout the day if you have diabetes. Overcompensating after skipping a meal will impact your blood sugar levels in a harmful way. Yoga can be very helpful when you are trying to lose weight. First, yoga is an exercise which can very effectively burn calories. This is especially true for types of ‘power yoga’, such as Vinyasa. Second, yoga will improve your fitness and flexibility, making other exercises and activities much easier for you. Finally, yoga and meditation help to teach mindfulness, which is very important for a healthy lifestyle. You will find yourself more disciplined in everyday life, which will help you to knock bad habits and make lifestyle changes. Does taking the stairs make that much of a difference? Taking the stairs instead of the elevator may seem like a cliché, but these extra steps each day are incredibly important in burning calories, especially if you have an otherwise sedentary job and/or lifestyle. Consider using a pedometer or a smartphone app to track how many steps you take each day. If you get above 10,000 steps per day, you will be burning an extra 250 calories. Once I have lost weight, how can I keep it off? To sustain your weight loss, you must continue to exercise and be mindful of your diet. Try to incorporate exercise into your routine, so that burning calories does not feel like a chore. Many people find it difficult to maintain the motivation they had when they first started to lose weight – you may find it helpful to look up new routines, or to find a running group. Why have I been gaining weight since I started exercising? There are a number of reasons why this may happen. Most often, because exercise increases appetite, people end up accidentally eating more calories than they have burned. This is especially common for women – the hormones which regulate the appetite are made more active by exercise. It may seem justified to reward yourself with a high-calorie meal after a session of exercise. This is a very bad habit to fall into, as you will end up undoing all the good from your exercising. You must maintain your discipline and stick to foods that are high in fibre such as whole grains and vegetables. This will require a holistic change to your lifestyle, including removing temptations from your kitchen or office. How frequently should I check my progress? Some people check weekly, some check every day. As long as you do so regularly, it should not matter. How do I get rid of excess body fat? Calculate your BMI (Body Mass Index) to determine whether you have excess body fat. A BMI of over 25 often corresponds to an unhealthy weight, especially if your waist circumference is over 40 inches if you are male and 35 inches if you are female. Excess body fat can increase the risk of diabetes, heart disease, and some types of cancer. To effectively lose excess body fat, you will need to combine a reduction in your caloric intake with increased exercise. How many calories should I be trying to burn? Generally, you will lose 1 pound if you can burn off 3,500 more calories than you have taken in. Spread over a week, you will lose 1 pound if you reduce your calories by 500 each day, and you will lose 2 pounds if you reduce your calories by 1000 each day. This is most effectively done by both increasing your calorie-burning exercise and reducing the number of calories you consume. It is usually not healthy to attempt to lose more than 2 pounds per week. Why do I need to exercise even if I am on a diet? Exercising while on a diet is the most effective way to lose weight. This is because there are two factors helping to improve your balance of calories. Exercising is also very useful in avoiding regaining weight after it is initially lost. What strategies can I use for my weight loss diet? Controlling your portion sizes and following a meal plan can be great strategies to implement in your diet. Consult with a dietician or personal trainer, or make your own balanced meal plan with professional guidance. As a rule of thumb, try to stick to more natural, whole foods, such as fruits, vegetables, grains, pulses and lean meats, over processed foods that are high in fat, salt and sugar. Are weight loss shakes good for you? And are weight loss supplements safe? Supplements like carnitine can have some benefits, and are often used as part of a balanced diet to help speed up weight loss. However, such supplements should only be used with the advice of a medical practitioner. Weight loss shakes can complement a sensible diet plan, but should never replace meals. Is it a good idea to drink diet tea products? It is not advisable to consume diet tea products, because they often lack approval from a healthcare association. These products are marketed as a way to cleanse, detox and lose weight, but have little scientific proof to back these claims. Does weight loss slow down with age? The aging process is one of the main reasons why your metabolism slows down. However, by preserving and gaining lean mass through exercise, you can help speed up and maintain your metabolic rate. Can problems with my thyroid effect weight loss? Losing weight with an underactive thyroid may pose some difficulties. You may encounter problems such as insulin and/or leptin resistance. It is recommended that you seek advice from a GP before you embark on a weight loss plan. Are weight loss bootcamps and retreats worthwhile? There is a real range of weight loss bootcamps, retreats and schemes designed to help you lose weight fast with a drastic change of eating habits and increased exercise. However, this is often not the most healthy way to do it. To see real results, and lose weight in a sustainable and healthy way, it is worth making permanent lifestyle changes. You can see real results with a healthy diet, a gym membership or upping your daily activity by walking or running to work. How does PCOS (poly-cystic ovary syndrome) affect weight loss? Weight loss may also be more difficult for people with PCOS. This is because higher androgen levels can lead to weight gain. Contact your GP or a dietician for guidance on how you can lose weight healthily if you have PCOS. How do I know if I quality for weight loss surgery, like a gastric band? If all else fails, and you are an extreme case, weight loss surgery may be a viable option. Weight loss surgery is available on the NHS for people who meet certain criteria, including having a BMI of over 40, or a BMI of between 35 to 40 and an obesity-related condition that may improve if you lost weight, e.g. type 2 diabetes.